In Hear This, The A.V. Club writers sing the praises of songs they know well. This week: Some of our favorite songs with “year” in the title. When Soundgarden gathered in early 1991 to record Badmotofinger, the group’s third album, the idea of a new alternative-rock “grunge” craze sweeping the nation seemed ludicrous—like the idea of Guns N’ Roses becoming an avatar of hard rock’s bloated past, probably. (Ironically enough, Use Your Illusion I and II ended up coming out the week before Nevermind, in September of that year.) Prior to the emergence of the “Seattle Sound,” which first picked up mainstream steam after British journalist Everett True wrote a glowing front-page NME story of the regional music scene in 1989—the same year as the band’s previous album, Louder Than Love—Soundgarden had been wedged awkwardly into ”metal” and “hard rock” categories in the mind of its label. 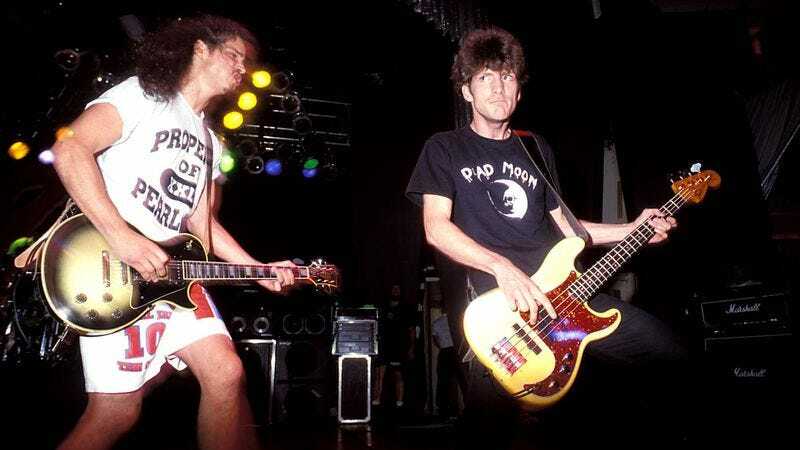 Thankfully, the burgeoning notoriety of the scene that spawned the group, along with the band’s own role in shaping the very “grunge” sound that defined it, quickly aligned it with like-minded contemporaries, and started Soundgarden down the road to widespread commercial acceptance on its own terms. Musically, the song is right in Soundgarden’s sweet spot, a heavy, sludgy riff wedded to a lumbering rhythm that somehow feels slow and fast at the same time. Vocally, it’s relatively sparse—only a couple of minimal verses that segue into a refrain comprised of only three words: “Tomorrow begets tomorrow.” It traffics in the lyrical ambiguity that characterizes so much of the band’s music, with oblique references to “one who loved what love denied.” Thayil has described it as being “more about experience in general,” which is the kind of explanation you give when you don’t really want to talk about what you’re written. For Soundgarden’s next two records before breaking up late in the decade, this kind of collaboration became the norm in the group, even as creative differences slowly contributed to its dissolution. But “Room A Thousand Years Wide” is what Soundgarden does best: Ambitious hard rock with the head of a music geek and the heart of a headbanger.